STARDOLL FREE | Underneath Stardoll Blog: Some news for this Friday! 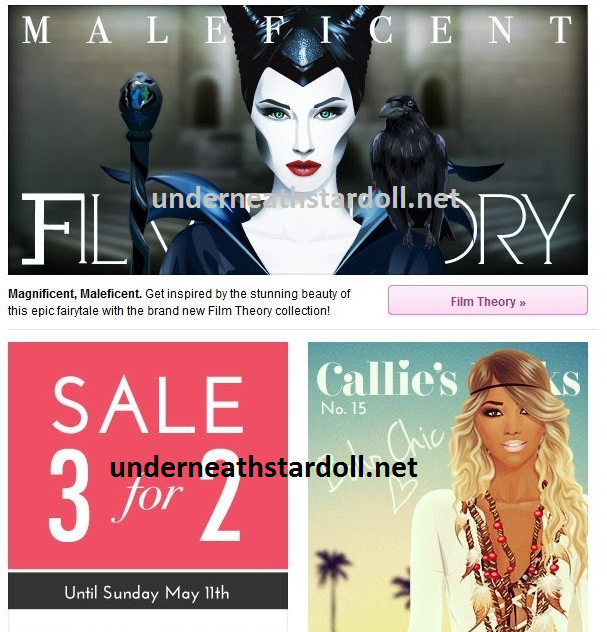 According to the e-mail that Stardoll sent, tomorrow (Friday), we will have a new collection at Film Theory inspired by the Disney's movie "Maleficent" and also we will have a sale 3 for 2 until Sunday May 11th. Are you excited to see the new collection of Film Theory? Are you planning to get some items using this 3 for 2 sale? special thanks to JOE412 for the picture of the mail since I didn't receive anything until now.